San Diego State University basketball coach Steve Fisher steps under the spotlight in San Diego magazine as March Madness gets closer. Fisher is credited with launching the San Diego State men’s team to national prominence, transforming the hoopsters from a team with rare NCAA tournament appearances to one that now has made the Big Dance seven of the 15 seasons he has been at the helm. 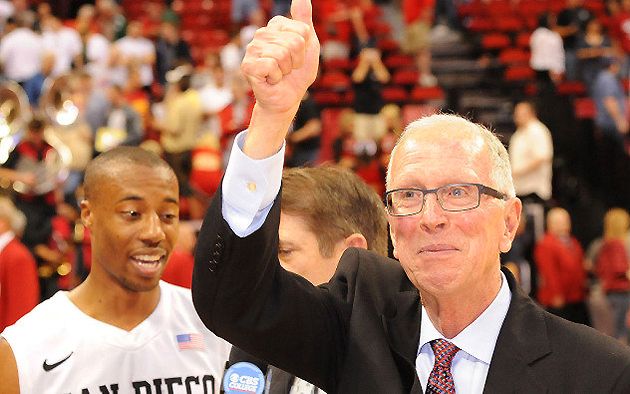 San Diego State basketball coach Steve Fisher.